Our product range includes a wide range of multivitamin pellets, docosa hexaenoic acid (dha), starch pellets, sugar pellets and alpha lipoic acid pellets. 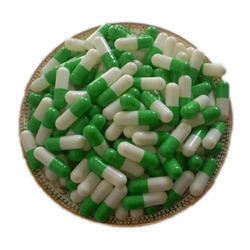 In order to serve the variegated demands of the clients, we have come up with Multivitamin Pellets like Carbonyl Iron, Folic acid, Vitamin C, B1, B2, B6, Ferrous Ascorbate, Alphalioic acid, cobalmin, Dried ferrous sulphate, Ferrous fumerate, Spirulina, C-Enzyme Q10, L-Cartnitine, Sylimarin combination pellets. These pallets are processed under the proper guidance of the experienced pharmacists at our base. Due to our excellent productivity, we are capable of meeting the bulk requirements of the clients within the postulated time. Processed in a environment free from contaminants. Docosahexaenoic Acid (DHA) is an omega-3 fatty acid that is a primary structural component of the human brain, cerebral cortex, skin, testicles, and retina. It can be synthesized from alpha-linolenic acid or obtained directly from maternal milk or fish oil. Docosahexaenoic acid (DHA) is a long-chain omega-3 fatty acid. It’s 22 carbons long, has 6 double bonds and is mainly found in seafood, such as fish, shellfish, fish oils and some types of algae. It is a part of every cell in your body, plays a vital role in your brain and is absolutely crucial during pregnancy and infancy. It’s a component of every cell in your body and a vital structural component of your skin, eyes and brain (1, 2, 3, 4). In fact, DHA makes up over 90% of the omega-3 fatty acids in your brain and up to 25% of its total fat content (3, 5). Technically, it can be synthesized from another plant-based omega-3 fatty acid called alpha-linolenic acid (ALA). However, this process is very inefficient, and only 0.1–0.5% of ALA is converted into DHA in your body (6, 7, 8, 9, 10). It’s mainly located in cell membranes, where it makes the membranes and gaps between cells more fluid. This makes it easier for nerve cells to send and receive electrical signals, which is their way of communicating. Having low levels in your brain or eyes may slow the signaling between cells, resulting in poor eyesight or altered brain function. DHA also has various other functions in the body. For example, it fights inflammation and lowers blood triglycerides. With wide expertise in this domain, we have come up with quality Starch Pellets. These products are processed by perfectly composing high-grade sugar & starch and Wooster coated for suitable hardening. To meet the varied needs of the clients, we offer this product in the different composition. Moreover, we accept bulk orders for the product and ensure their timely delivery. Starch or amylum is a carbohydrate consisting of a large number of glucose units joined together by glycosidic bonds. This polysaccharide is produced by all green plants as an energy store. It is the most common carbohydrate in the human diet and is contained in large amounts in such staple foods as potatoes, wheat, maize (corn), rice, and cassava. Pure starch is a white, tasteless and odorless powder that is insoluble in cold water or alcohol. It consists of two types of molecules: the linear and helical amylose and the branched amylopectin. 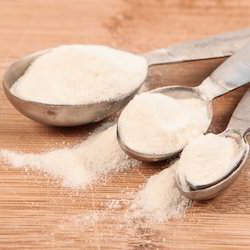 Depending on the plant, starch generally contains 20 to 25% amylose and 75 to 80% amylopectin. Glycogen, the glucose store of animals, is a more branched version of amylopectin. Starch is processed to produce many of the sugars in processed foods. Dissolving starch in warm water gives wheatpaste that can be used as a thickening, stiffening or gluing agent. The biggest industrial non-food use of starch is an adhesive in the paper making process. Our prominence in this domain has helped us come up with quality Sugar Pellets. 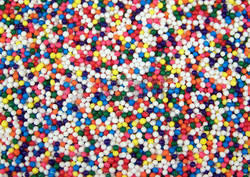 These products are prepared by the experienced professionals following the sucrose coating process. Our offered range of these products are drug-free and are processed using quality ingredients. We are one of the exemplary manufacturer, exporter, importer, trader and supplier of best quality Sugar Pellets in the worldwide market. 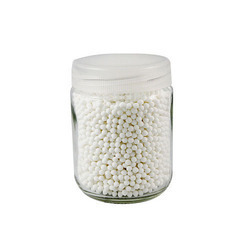 These pellets are formulated by a limited quantity of a drug sprayed with the help of sucrose coating technology under the proper environment condition of our manufacturing unit. 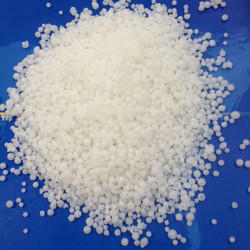 These pellets are largely used in the production of medicinal tablets & capsules, multi-particulate formulations, in a controlled/sustained release of drug delivery technology and as critical incipient. Alpha Lipoic Acid (also known as lipoic acid, thioctic acid, or ALA) is one of the good fatty acids produced in every one of our cells. One of its main functions is to help convert glucose (blood sugar) into energy. Alpha-lipoic acid is a vitamin-like chemical called an antioxidant. Yeast, liver, kidney, spinach, broccoli, and potatoes are good sources of alpha-lipoic acid. It is also made in the laboratory for use as medicine. Alpha-lipoic acid is used for diabetes and nerve-related symptoms of diabetes including burning, pain, and numbness in the legs and arms. Alpha-lipoic acid is also used to treat eye-related disorders, such as damage to the retina, cataracts, glaucoma, and an eye disease called Wilson’s disease. Dosage:Oral dosage of alpha-lipoic acid given in numerous clinical studies ranges from 300 to 1,800 mg daily. It also is given intravenously at similar daily dosages. Looking for Human Nutraceuticals ?